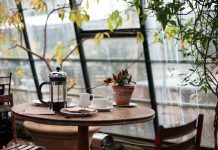 Best French press coffee beans – a review! 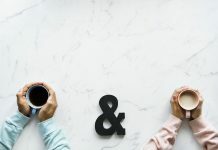 Commercial coffee grinders are specially designed to handle more workload and are the best choice for brewing high-quality coffee, especially espresso. 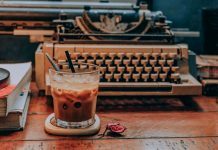 Whether you run a coffee shop or you want it for your personal use, it is essential you get the best commercial espresso grinder. This is because high-quality grinders tend to have a finer and more consistent grind and a decent capacity. 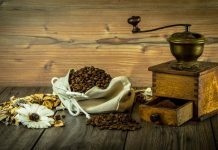 Consider these qualities when shopping for a commercial grinder if you want to get a well-brewed espresso. 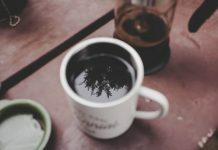 Whether or not your cup of espresso is the best one you can have will also depend on the coffee maker you use and the beans you grind, I have some other articles in here that will help you choose the best coffee maker for an espresso that will not cost a fortune and the best beans for espresso to use for your cup as well as a guide on how to brew your perfect espresso at home, so we got you covered! Espresso grinders brew coffee by forcing a small amount of pressurized hot water through finely ground coffee beans. A high-quality grinder will be able to correctly extract the aroma and taste from coffee beans leaving well-brewed espresso. Two kinds of espresso grinders serve well for personal and commercial use. The kind you opt for would depend on your budget and the quality of the ground you want. These coffee grinders are operated manually, and they are so named because they cut coffee beans using small blades. Blade grinders are the cheapest type of grinders you would find on the market. However, they do not offer high-quality ground coffee and are not suitable for big coffee shops. 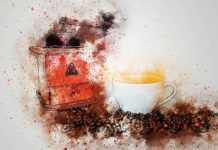 Burr Grinders is the best option to consider if you want to purchase a coffee grinder for business. This type is great for coffee drinkers who love the taste of high-quality brewed coffee. However, they are costlier than blade grinders. Burr grinders are also more efficient and consistent in grinding coffee than blade grinders. However, the aroma and flavor remain the same. They are the more popular option due to their efficiency and grinding speed. But, a fast grinding speed could lead to the buildup of heat and burn your ground. Flat burrs are also prone to clogs which mean you would have to spend a considerable amount of time on maintenance. These, on the other hand, are usually much slower at grinding coffee but this is also added advantage as you would avoid heat buildup and clogs. In this article, I will be reviewing the best commercial espresso grinders in the market. The entry-level all-purpose conical burr grinders come equipped with a variation of 40 grinding adjustments. It is one of the most affordable conical burr grinders with a good number of features. Its key features include a high torque motor, a gearbox, and speed control. While most users would want a grinder that grinds fast and dispenses coffee very quickly, there is the problem of heat buildup which would affect the taste of the coffee and ruin it for you. The Encore is equipped with a high torque motor which keeps the burrs spinning at 450 RPM. This speed is just good enough to brew high-quality coffee. The Encore is fitted with an electronic speed reduction mechanism that keeps the speed of the burrs in check so that the burrs spin at exactly 450 RPM from start to finish. However, you can decide to raise the speed limits to 495 RPM or reduce it to 405 RPM. Before making any speed adjustments, it is worthy to note that slow speed allows for noiseless operation and reduces heat. This ensures that the coffee is brewed perfectly with no effect on the taste and aroma. 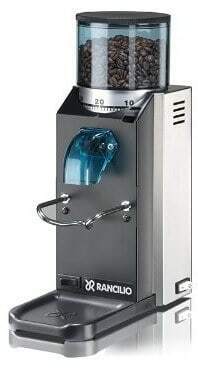 The Baratza Encore is one of the cheapest options in the market, but it is also one of the best options to consider among espresso grinders within its price range. 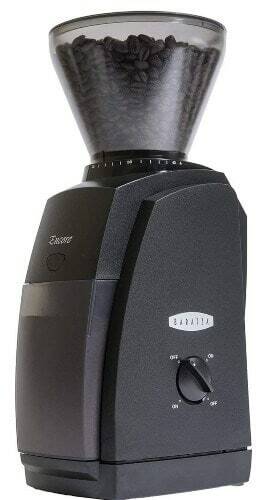 The Baratza Sette is quite similar to the Encore in the sense that they both are conical burr grinders. However, the Sette comes packed with more features and is, therefore, more expensive. 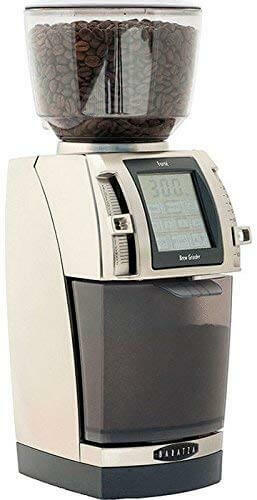 The grind-by-weight espresso grinder has several key features including an accurate weight dosing functionality to ensure you get a consistent dose with every drink. Other features include a hopper stopper, adjustable holder arms, a gearbox, and a high torque motor. Although the Sette has many upgrades that set it aside from other grinders, its most distinct features would be its grind settings. With the Sette, you get 270 grind settings that fit well with a wide range of brewing styles and coffee types. Another key feature is its built-in convertible holder which is unique to the series. The holders allow you to grind into your portafilter. 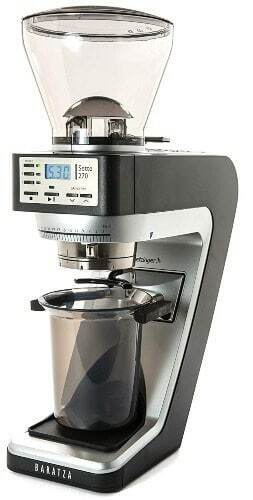 If you are opting for the Baratza Sette 270Wi, then you should expect to spend more than a few bucks because it’s quite expensive. In the end, you will be getting the right features and grinder you need for your commercial needs. 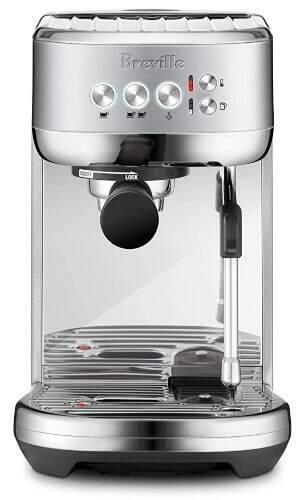 The DeLonghi ESAM3300 is not just good at making espresso, but other kinds of coffee, cappuccino and latte drinks. The ESAM3300 is burr grinder with an abundance of features that matches its price. It scores points for consistency, maintenance, and ease of use. 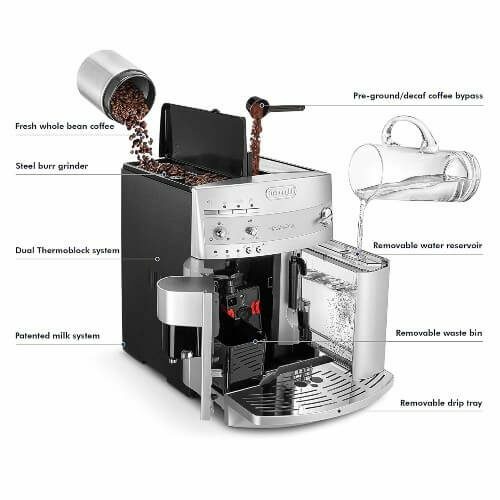 Its key features include a three-hour auto shutoff feature, a 60-ounce water tank, a 7-ounce bean contain, coffee thermostat, and a water level indicator. The ESAM3300 is equipped with two stainless-steel boilers for heat distribution and reheat functions. This keeps the machine at a consistent ideal temperature when brewing coffee. Looking at the features of the ESAM3300, one would expect it to be on the expensive side which it is. However, if you want to serve your customers or you value the taste of high-quality coffee, then you can opt for this grinder. The Breville BES500BSS is a commercial grinder that lives up to its hype. It comes equipped with a lot of features that ensures you get only the best quality coffee. Its key features include an auto micro-foam milk texturing, faster heating time, auto heat purge, PID temperature control, and low-pressure pre-infusion. 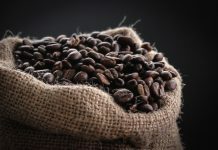 One of the requirements for brewing high-quality espresso is maintaining the right temperature. The BES500BSS uses temperature control to ensure the temperature is kept at the right range. The BES500BSS also falls on the expensive side. However, it is among the popular choices for making high-quality espresso and worth every cent. 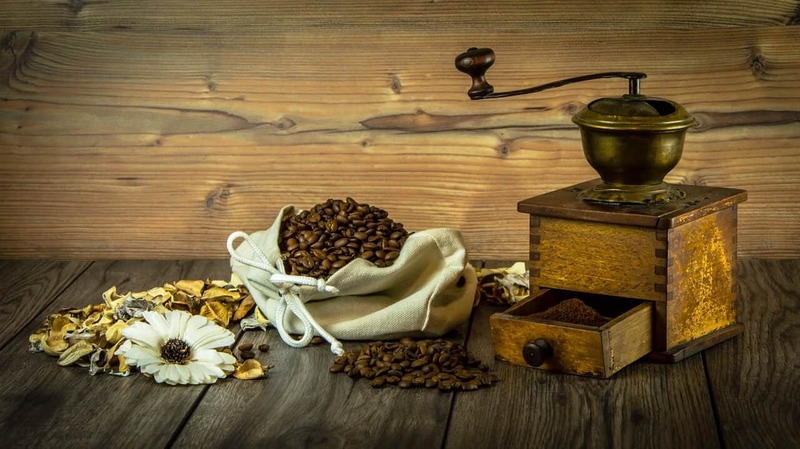 Coming from one of the most recognized names in commercial quality espresso grinders you should expect the Rocky Coffee Grinder to be of the top quality. The grinder features 50mm commercial grade burrs, 55 grind settings, and a compact tinted hopper. 55 levels of grind controls mean you can try every brewing style or coffee type you want with just one machine. From espresso to French press coffee, the list of possibilities goes on and on. The Rocky Coffee grinder is an affordable choice to consider. It is quite challenging to find a high-quality grinder with the right features at a low price, but the Rocky grinder makes things easy. It comes in versions with and without a doser which have different price tags. Power switch placement makes handling quite tricky. The Gaggia MDF Grinder is quite similar to other grinders on our list in terms of features and quality. 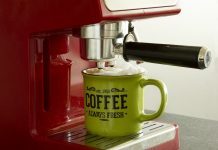 It features 50-mm commercial grade grinding burrs, an 8-ounce ground-coffee container, a doser, and a 10-ounce bean hopper. 34 grind settings offer a wide range of grinding options for regular coffee and espresso. 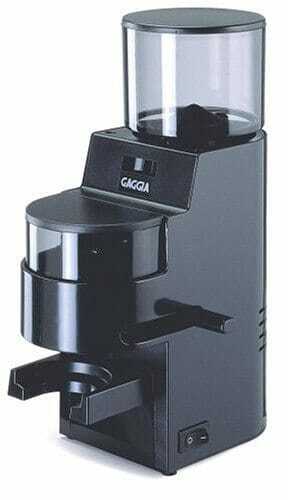 The Gaggia MDF Grinder is one of the most affordable options in the market. If you can overlook the poor design of the grinder and focus on its functionality, then you would get the value for your money. 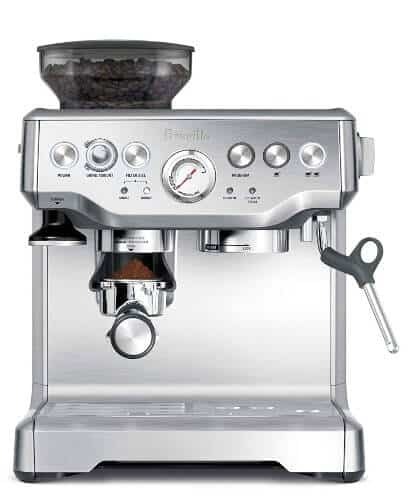 The Breville BCG820BSSXL takes things up a notch with 60 accurate grind settings and stainless-steel conical grinding burrs. It is one of the few grinders in the market equipped with convenience features like a timer for adjusting grind and dose time. 60 grind settings give you a lot of brewing styles and options. Many users tend to have a problem with grinders that don’t provide accurate grind settings. Fortunately, the BCG820BSSXL grind settings are precise and will create the perfect coffee you need. The BCG820BSSXL is not the cheapest grinder in the market, but it is an affordable option. With just a few bucks, you can get this high-quality grinder. 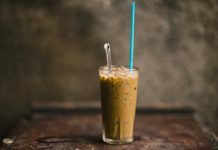 The Barista Express is not the most affordable option on the market, but if you expect a lot from your coffee, then it’s an excellent option for you. The BES870XL comes packed with a lot of features which is the reason for its high price. 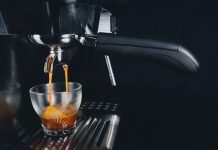 Its key features include dose-control grinding, PID temperature control for precise espresso extraction, micro-foam milk texturing, a 2L water tank, and semi-automatic functionality. Its 2L water tank is big enough to make several espressos without stopping. This saves you the stress of continually refilling which is typically associated with grinders with small water tank capacities. The BES870XL is one of the most expensive grinders on our list. However, you shouldn’t expect a high-quality espresso grinder to come cheap. The BES870XL has the right price tag for its features and quality. The Baratza Forte Brew Grinder was explicitly built for light commercial use with 260 grind settings and commercial-grade flat steel burrs. The Forte features a built-in digital scale for weight-based dosing which allows you to grind by weight. It also has 3 programmable settings for continuous dosing. 260 grind settings mean the Forte can be adjusted for any brewing style or coffee type you desire. Its grind settings are quite accurate which means you get quality coffee of any sort. Forte is quite expensive. However, its price tag aligns perfectly with its value. It can serve commercial and personal purposes and still offer the same quality. Another thing to consider is its durability. 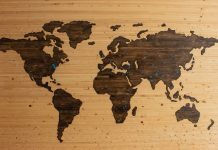 It scores good points in this area which makes a good choice if you want something that will last and still offer quality coffee. The Baratza Vario-W is another grind-by-weight coffee grinder from Baratza with a good number of features. It has 230 grind settings which are 30 settings lower than that of the Forte. However, it still produces top quality coffee of all types. 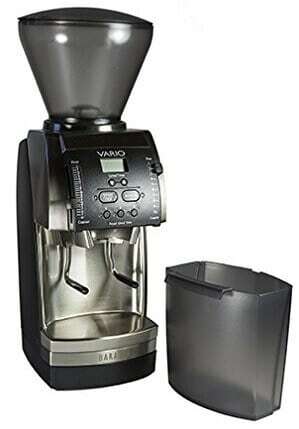 The Vario-W features a 54mm ceramic flat grinding burrs, a shut-off hopper, and an easy-to-use control panel. The Vario-W cost way less than the Forte which is understandable since it lacks some features you can find in the Forte grinder. The Vario-W is still an excellent option for commercial purposes with a reasonably affordable price tag. 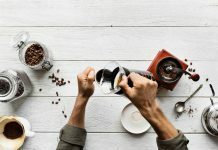 Shopping for a commercial espresso grinder is no easy task as you would have to compare a lot of products while reading through pages and pages of reviews. Nevertheless, the products listed above will give you a guide and make your search a lot easier. To help you even further – here’s a 10-minute video from Seattle Coffee Gear giving tips to choose the right coffee grinder for you, hope that helps! When it comes to commercial espresso grinders, cheap is not always best. Cheap espresso grinders tend to have fewer features and a shorter lifespan. However, that doesn’t mean you should entirely rely on expensive espresso grinders. The choice you eventually make should align with your needs. 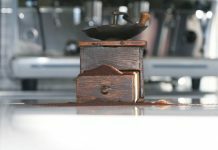 If you are getting an espresso grinder for heavy commercial use, then you wouldn’t want to be cheap. 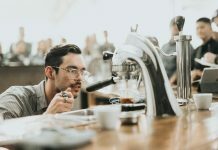 You can take a look at the products listed above and make a choice on which commercial espresso grinder is best for you. 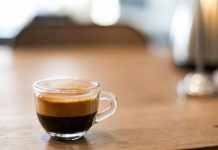 I hope that this best commercial espresso grinder review will help you. 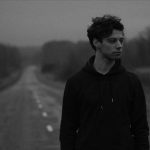 If you have any questions or comments – please tell me. I see the beauty in early Sunday morning, all kinds of mornings, actually, with a cup of coffee.